QUED brand nets were introduced in 1975 responding to the demand for domestic made product. 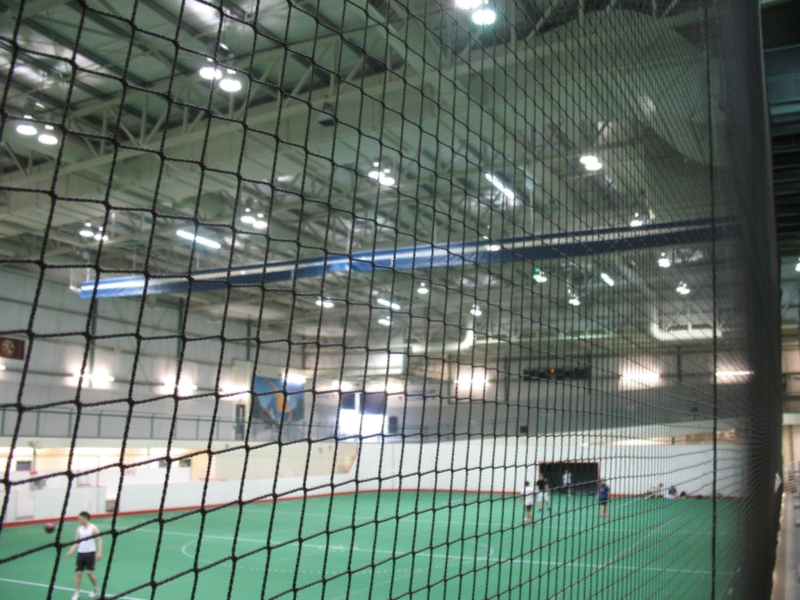 Typically imported, these standard size nets could not adapt for variances in court layouts, modified goal frame sizes and alternative levels of quality. Competitive pricing, personalized design options, and quality materials resulted in a national customer base that has loyally supported the QUED brand netting program through the decades. Always looking to improve the consumer experience, QUED brand nets have evolved through innovative design, rigorously tested material components, unlimited range of panel size and configuration, color, UV Dura Dip abrasion resist and FR coatings. Developing and responding to the changing dynamic of sport, QUED brand has perfected the “lashing” of net, integrating panels along the natural diagonal, creating seamless lengths without size limitation. Multi-purpose netting for multi-use facilities, reducing risk of injury and distraction is the QUED brand expertise. Specialists in spectator netting the QUED brand is sport specific and venue adaptive, achieving risk free enjoyment without compromise to sport integrity.